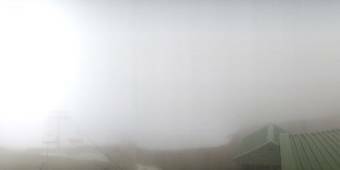 Webcam Hothan Heights: PANOMAX Heavenly Valley - A splendid panorama view. Marysville: PANOMAX Lake Mountain Alpine Resort, 78.1 mi. Paradise Beach: Weather in Paradise Beach, 85.1 mi. Ferny Creek: Weather in Ferny Creek - Patersoi Bloomsky, 117.4 mi. Warranwood: Weather in Warranwood, 117.8 mi. Noble Park: Weather in Noble Park - Burek, 127.8 mi. Wagga Wagga: Weather in Wagga Wagga - Bidgee Weather, 129.4 mi. Thornbury: Weather in Thornbury, 129.8 mi. Melbourne: Panorama View, 132.7 mi. This webcam Hothan Heights with the theme Landscapes was added on June 1, 2018 and is operated by PANOMAX. It got 17 visitors since then. Shouldn't this webcam work or should the link be wrong please report that here. You can add this webcam here to myCams.